We work alongside companies in the implementation of innovative projects to optimize the supply chain. Our focus is on value recovery in all the internal and inter-company operations of the supply chain. We work together with the company management in the formulation of innovative solutions able to offer a competitive advantage and to support new business models. We analyse the existing processes to identify the areas for improvement, to remove inefficiencies, improve performances and reduce costs. 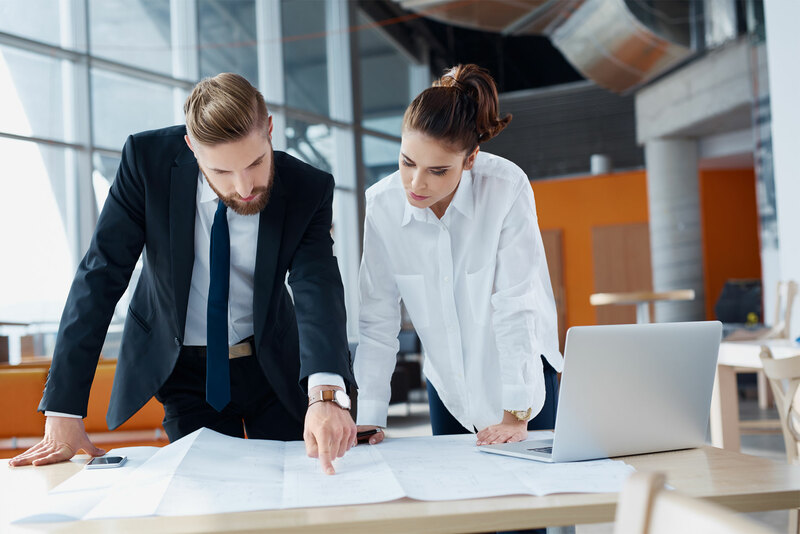 We help companies reshape their organization and processes to reap the full benefits of the advantages offered by latest-generation digital technologies. We integrate the new technologies with the customer’s information systems and infrastructural environment so that goods and information flow quickly, regularly and without “frictions”. Our approach is characterized by the concreteness and pragmatism in the management of all the stages of the project. From analysis to planning, until implementation and roll-out, we work using agile and qualified methods to achieve the desired results within provided times. The way we work draws its inspiration from the principles of Design Thinking, a company management method based on strategic design. 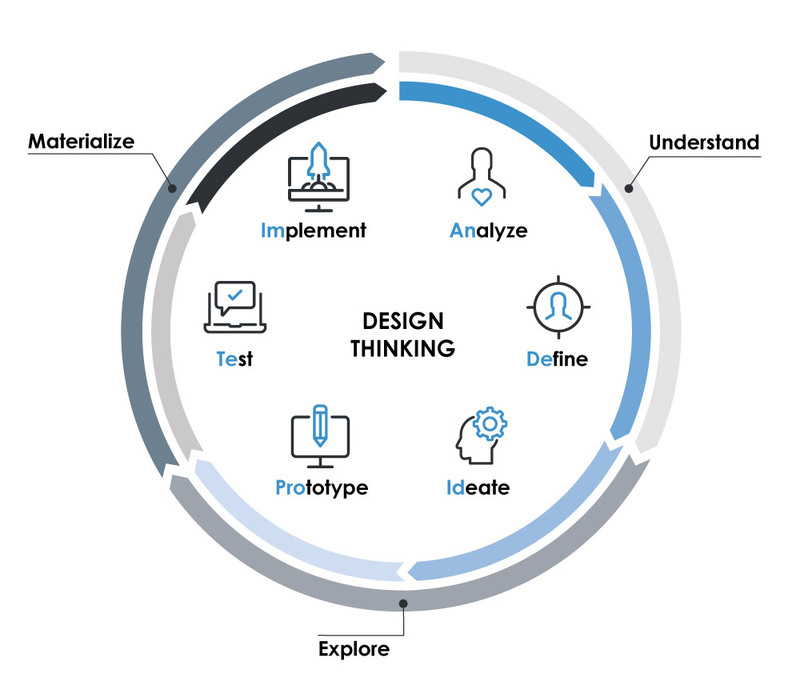 Design Thinking involves the customer, specialists and users in a creative process which allows defining original, efficient and shared solutions more quickly and with fewer risks.